I was seduced. Yes, definitely… against my will (i.e. my better judgment). The warm sunny days worked their magic on me. I KNOW better than to plant a garden too early in the season. It’s really an exercise in futility to try and outwit the “weather gods”! Yep, I went down to our local nursery (key word there is “local” nursery)… and perused among their garden starts. Trays of tiny plants just waiting to be snapped up and placed into a warm nurturing environment so they could explode into growth, providing me with feeling of satisfaction of having something growing. When I asked at the counter for some assistance in finding some “Sweet 100” tomato starts, they chuckled and said, “Don’t you think you are just a couple months to early!” It’s too cold at night and they will just shrivel up and die with the first frost. But boy did that tune change when I said the magic words…. greenhouse. Lovely, lovely, warm, protected, sheltered greenhouse. Now mind you… nothing fancy. Just an ol’ hog panel (it’s 16 ft length arched over to form a tunnel) with some heavy-duty plastic over it and some coverings placed on each end. Not fancy but definitely functional. We did build some raised beds (lined with chicken wire to protect those delicious roots from munching gophers) to plant into. 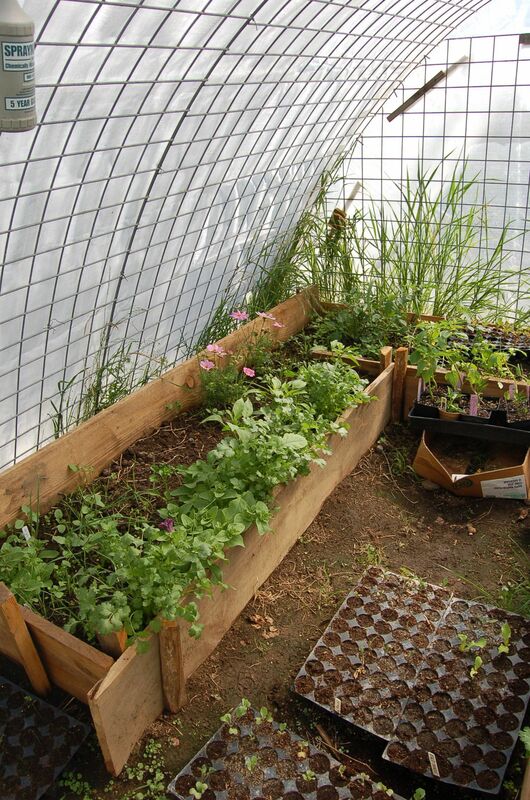 In a raised bed the soil warms a bit earlier which gives another advantage to planting in the greenhouse. So, while I did “buy” transplants way too early, by the time I got home, my better judgement did kick in and instead of planting into the ground I placed my starts in their temporary waiting place. And sure enough, that night for the first time in weeks, the nighttime temperatures dropped into the 20’s! I’ll be watching the weather report closely. But I did exercise some common sense, and MOST of the starts that I purchased, are for cool season. Peas, snow peas, spinach, kale… all things that can handle a light frost. 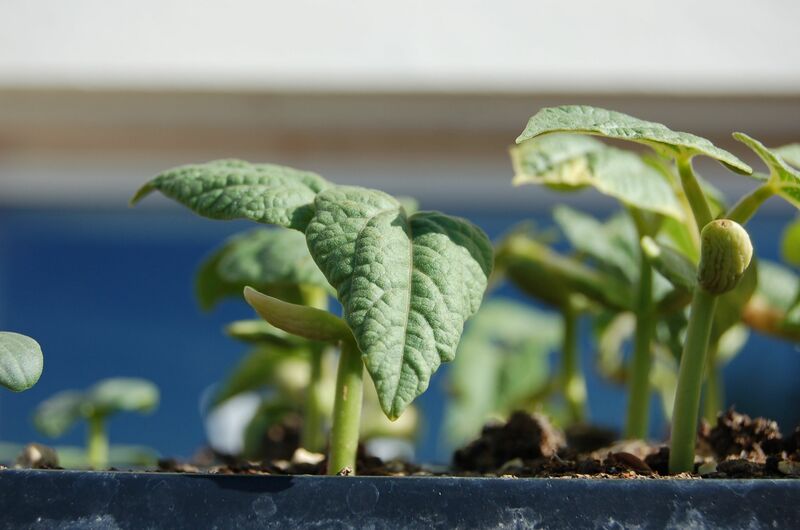 The warm season starts will need a longer stay in the greenhouse… but if I do move them out a bit early there are some short-term solutions! 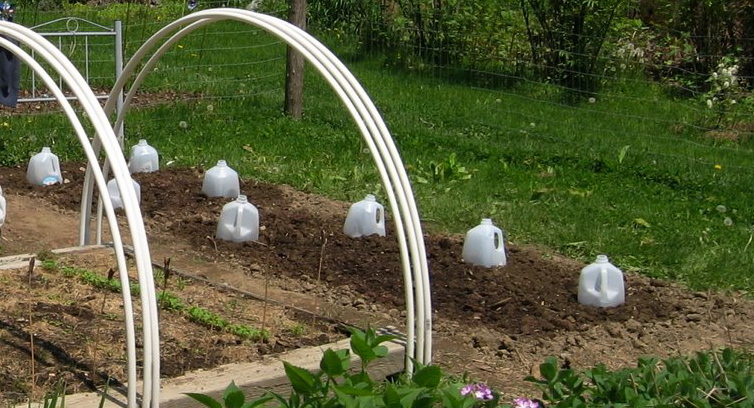 A gallon milk jug, with the bottom cut out, makes an excellent in place micro greenhouse. 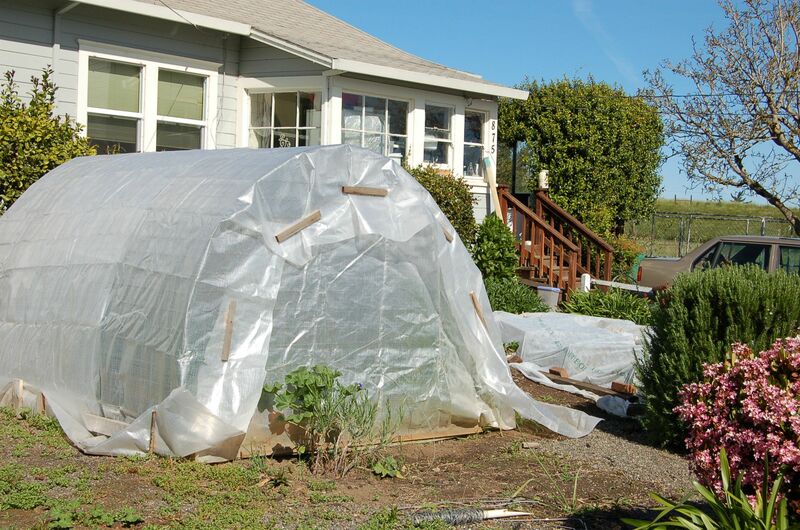 They provide some protection from frost as well as a slightly warmer environment that is plant friendly. Just be careful to NOT cook the plant on days that get really warm. Nice thing about the gallon milk jug… you can just take the cap off and presto! you are venting the extra heat. Talk about cheap and easy… instant success.